I am now risky all of my geek street credit with this simple admission - I never really cared for the Star Trek television programs. Amongst the geek community this is tantamount to heresy, but I admit it fully. I always found the stories rather simplistic and the villains ridiculously dramatic. The show never really caught my interest. What did catch my attention was the technology, and moreso, how humans interacted with it. Gene Roddenberry may not have been a great writer, but he was a brilliant futurist who clearly saw the path that technology would follow. How many Star Trek technologies do we live with every day? Cell phones and tablet computers are the most immediately obvious. But even replicators (or molecular printers) and transporters are now being developed. The future envisioned by Roddenberry is strangely accurate. Back in 1998, I commented to BHF that if we could create a working gadget similar to something seen on Star Trek, it would be a guaranteed success. I opined that this would be because we would not need to explain the new tech to people, they would know how it worked and how it would make life better simply because they saw it on Star Trek. 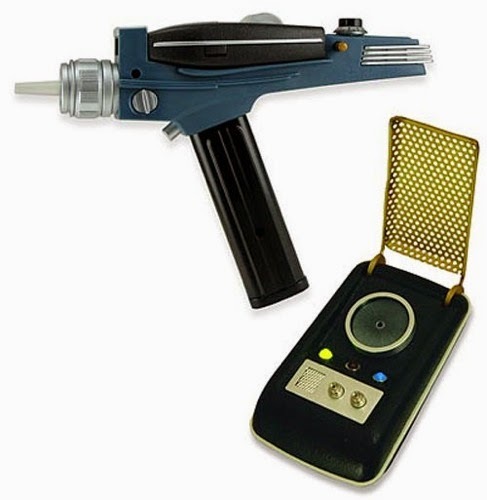 I postulated that there must be a very high intersection between Trekkies and early adopters. Nothing has changed my opinion in the intervening decades. I called this my Treknology Theory, and I am well aware it is nothing new. Plenty of others have had the same idea. Because this blog is to share my ideas, it stands to reason this older idea should also be released into the wild. I am certain it isn't new or original, but perhaps this might spark someone to think of a new product that can change the world. If you want help developing your Trek-nology, send me an email. We have engineers standing by to help make your dreams come true.